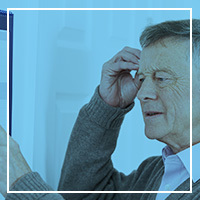 With 47 million people currently living with some form of dementia, the idea of what it is is fairly common knowledge, however, it is not well understood by many who are not directly affected. To help bring awareness and offer some general information, here we will share some facts about dementia that you may or may not already know. #1 Memory loss is NOT a normal part of aging. It is a false common belief that forgetfulness and memory loss is a normal part of aging. This often contributes to a late diagnosis of dementia because early signs are not recognized. While it is true that dementia primarily affects the elderly population, it is not a normal symptom of aging and can indicate a variety of illnesses that should be addressed — some illnesses are treatable and can even reverse dementia! #2 Dementia is a syndrome with different causes. 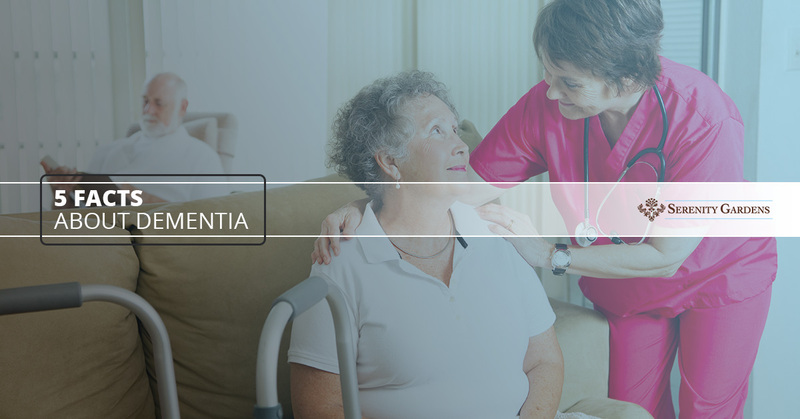 Dementia is not a specific disease but is a term used to describe a group of symptoms. Dementia is caused by insult, injury, or degeneration of the brain and causes memory problems, personality changes, and impaired reasoning. While Alzheimer’s disease accounts for between 60 and 80 percent of dementia cases, stroke, Parkinson’s disease, and Huntington’s disease can also be accompanied by dementia. Thyroid abnormalities, depression, vitamin deficiencies, HIV, and medication interactions can also cause treatable dementia. #3 Early diagnosis can significantly improve the quality of life. Early diagnosis of dementia and the root cause can lead to a better long-term outcome for both the patient and their families. When the symptoms are identified early, diagnosis of treatable conditions can lead to early intervention which can slow the progression of dementia. Families and patients can be more prepared, mentally, financially, and legally, to cope with the progression and outcome of the disease process. #4 The rate of dementia is growing rapidly. With the advances in modern medicine, people are living longer, healthier lives, which leaves the opportunity for chronic diseases to manifest themselves. Where, historically, many people died of infectious disease, are now dying as a result of complications of the degenerative or chronic disease. There are currently 47 million people living with dementia and nearly 10 million new cases are diagnosed each year. It is projected that there will be 82 million cases by 2030 and 152 million cases by 2050. #5 Dementia does not change basic human rights. Worldwide, it is common for those who suffer from dementia to be discriminated against or to be treated as though they are children who lack the ability to make decisions for themselves. It is important to remember that although personalities may change, logic and reasoning may be impaired, and communication may be more difficult, that those who suffer from dementia are still aware of their surroundings, and deserve to be treated with dignity and respect. If you or someone you love has shown symptoms of dementia, do not ignore the signs. Early diagnosis and intervention will provide the best outcome for you and your family. If you need assistance caring for your loved one or are living alone with symptoms, contact us at Serenity Gardens Memory Care Assisted Living. Our staff is here to help you live as independent of a life as possible while providing you with the much-needed care and support, on your terms. Our team is specially trained in memory impairment and would love to be a part of your journey. Contact us to schedule a tour or to find out more information about our services.